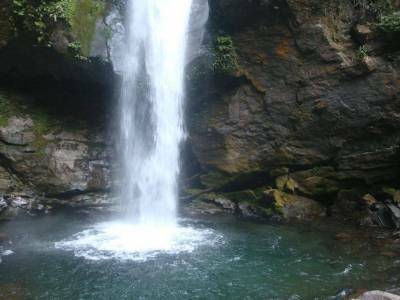 The kanchenjunga falls is one of the best falls of Sikkim and on the way to kanchenjunga waterfall travelers can view the nearby Rimbi waterfalls. 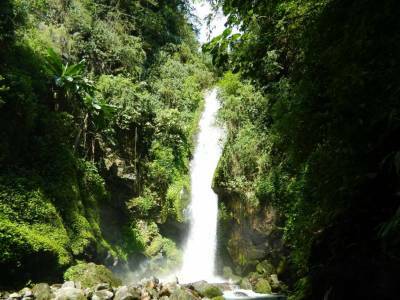 The Kanchenjunga Falls is a leading tourist spot in Pelling and is attractive Picnic spot throughout the year with its lush green surroundings and the high falling water flow. The sound of roaring water falling down the hills and the cold moist air makes a serene environment. There is a small pathway leading to the waterfalls location from the main road and the path is a bit slippery during rains. 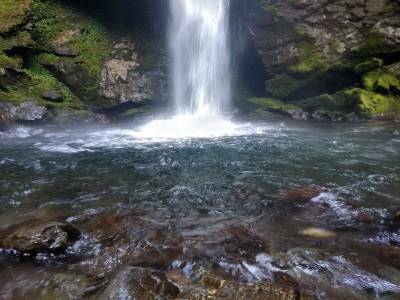 Tourist can watch and feel the fresh stream water falling from the rocky cliff and the beautiful surroundings are worth visiting. The scenic beauty of the place is enhanced by the back drop of the mountains. 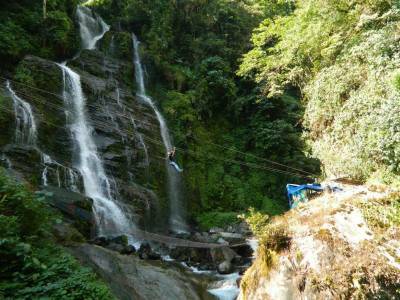 There is a rope slide facility available over the kanchenjunga waterfall from one side to another, adventure seeker may try it to cross the waterfall at 100 INR Per Person. Overall, the place is beautiful with the rumbling noise of the high flowing water. There are number of food vendors serving hot beverages and snacks i.e. Momos, Hot Tea, Maggi Noodels, boiled egg and many things to eat. 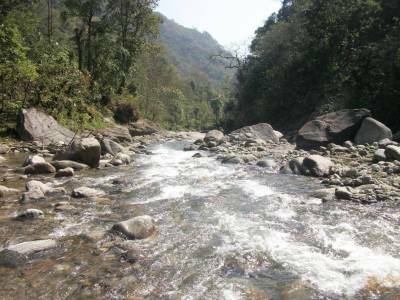 Kanchenjunga falls is about 28 kms away and almost an hour's drive from the Pelling. Get quick answers from travelers who visit to Kanchenjunga Falls.